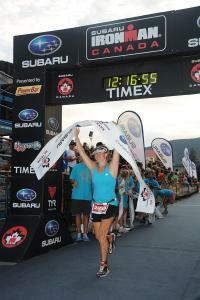 I specialize in Triathlon and Run Coaching for beginners to advanced athletes & Nutrition for athletic performance. I provide monthly personal coaching online with limited email support. I offer triathlon, duathlon and run coaching services for the novice and intermediate athlete from Try-a-Tri to Iron distance. I am also a registered Nutritional Consultant specializing is sports nutrition for endurance athletes, and a Certified Personal Trainer so I can ensure you reach your full performance! As a Registered Nutritional Consulting Practitioner and Certified Personal Trainer and NCCP Certified Triathlon coach, Tara provides individualized nutrition coaching, personal training and coaching services aimed at the athletic individual. Tara Postnikoff has been coaching people through healthy eating and active living since 2006. Success. Coach Tara Postnikoff has been notified of your message. To hire Tara Postnikoff as your coach, select the coaching service that is right for you.